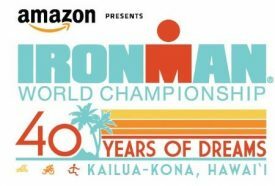 TAMPA, Fla. (October 2, 2018) – Triathlon’s top professional talent will assemble at the start line in Kailua-Kona, Hawai`i for the 2018 IRONMAN® World Championship brought to you by Amazon, taking place on October 13. The most iconic one-day endurance event in the world will bring together a highly regarded and competitive professional field, headlined by defending champions Patrick Lange (DEU) and Daniela Ryf (CHE). The women’s professional field will seek to dethrone three-time IRONMAN World Champion Daniela Ryf (CHE), who continues to add to her impressive resume. In addition to earning her fourth IRONMAN® 70.3® World Champion title this past September in South Africa, Ryf also came away with victories at the Mainova IRONMAN European Championship in Frankfurt and Enea IRONMAN 70.3 Gdynia in Poland. Up for the challenge will be a host of strong contenders, including last year’s other podium finishers Lucy Charles (GBR) and Sarah Crowley (AUS), as well as the highly anticipated return of three-time IRONMAN World Champion, Mirinda Carfrae (AUS). Charles, who finished second a year ago, is coming off two impressive showings in Africa with a win in April’s Standard Bank IRONMAN African Championship and a second-place finish at the 2018 Isuzu IRONMAN 70.3 World Championship in September. Crowley will be looking to improve upon her third-place finish from a year ago and is in good form following a win at the 2018 IRONMAN Hamburg triathlon and a third-place finish at the 2018 Mainova IRONMAN European Championship in Frankfurt. Carfrae rejoins the ranks of the elite in Kona after spending a year away for the birth of her daughter. With wins this year at IRONMAN 70.3 Santa Rosa and IRONMAN 70.3 Augusta combined with a strong second-place showing at the 2018 Cairns Airport IRONMAN Asia-Pacific Championship in Cairns, Carfrae has been at full force on her comeback trail. The women’s field only just begins there, as other seasoned and decorated competitors join this elite group. Heather Jackson (USA) is a ten-time IRONMAN 70.3 Champion and multi-time Top 5 finisher at the IRONMAN World Championship, while Kaisa Sali (FIN) finished fifth in last year’s IRONMAN World Championship and earned first-place finishes at the 2018 IRONMAN Switzerland and 2018 Mazda IRONMAN 70.3 Monterrey triathlons. Susie Cheetham (GBR) finished second at the 2018 Standard Bank IRONMAN African Championship, just minutes after fellow British racer Lucy Charles, and joins newcomer Teresa Adam (NZL), who earned a victory at the 2018 Cairns Airport IRONMAN Asia-Pacific Championship in Cairns, as others to watch. The men’s group is equally stacked with titleholders and contenders, including last year’s IRONMAN World Champion, Patrick Lange (DEU). Lange will seek his second win in Kona, where he holds a course-best time of 8:01:40 from his win in 2017, as well as the marathon run-course best time of 2:39:45, set in 2016 when he finished third. Also competing for the title is Lionel Sanders (CAN), who led the race last year through mile 23 of the marathon before giving way to Lange and ultimately earning second. Sebastian Kienle (DEU), the 2014 IRONMAN World Champion, placed fourth in the 2017 IRONMAN World Championship and will be looking for another title after just missing the podium last year. Meanwhile last year’s third-place finisher David McNamee (GBR) looks to follow the trajectory of Lange, moving from a third-place finish to becoming a world champion the following year. Adding to the competition will be James Cunnama (ZAF), who placed fifth at the 2017 IRONMAN World Championship and Javier Gomez Noya (ESP), an Olympic silver medalist and two-time IRONMAN 70.3 World Champion. Fans will also be keeping an eye on Tim Don (GBR), who was unable to race last year after a pre-race accident left him with a broken neck just days before the event. After a grueling road to recovery, Don has made a remarkable comeback, placing first at the 2018 IRONMAN 70.3 Costa Rica triathlon, only eight months after the accident. Americans Andy Potts and Ben Hoffman look to rejoin the top 5 after both finished in the Top 10 in 2018. The 2018 IRONMAN World Championship will offer a $650,000 total professional prize purse which will be distributed to male and female first- through tenth-place finishers. In addition to the competitive professional field, approximately 2,500 age-group athletes are registered to compete in this year’s IRONMAN World Championship brought to you by Amazon. This year the event will host the largest international athlete field in race history, representing 82 countries, regions and territories, from six continents. Athletes ranging in age from 19 to 85 have earned their championship opportunity by having finished among the best at one of more than 40 qualifying IRONMAN events worldwide. Race week coverage of the 2018 IRONMAN World Championship brought to you by Amazon will be available on www.ironman.com and www.facebook.com/IRONMANnow. Comprehensive coverage will capture the week’s activities including every aspect of the race. For live tracking, real-time results® and instant notifications, fans can follow both the professional and age-group athletes on the IRONMAN Tracker app available for download from Google Play and the iTunes App Store. In addition, NBC will air the IRONMAN World Championship special on Saturday, November 24 (check local listings for details). For more information on the IRONMAN brand and global event series, visit www.ironman.com. Media may contact press@ironman.com. Since its inception in 1978 on the island of Oahu, the IRONMAN World Championship has etched its name in history through stellar performances, inspirational participants and emotional memories. In 1981, the race moved from the tranquil shores of Waikiki to the barren lava fields of Kona on the Island of Hawai`i where it continues to take place to this day. The race now sees approximately 2,500 athletes embark on a 140.6-mile journey that presents the ultimate test of body, mind and spirit to earn the title of IRONMAN World Champion. The most iconic one-day sporting event in the world is the culmination of 40 global IRONMAN events with athletes around the world striving for one of the coveted qualifying slots.